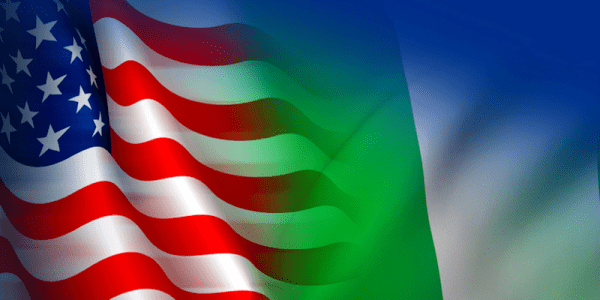 A two day meeting of the US – Nigeria Bi-national Commission on the Niger Delta and National Development Working Group today began in Port Harcourt, the Rivers state capital. Expressing sympathy to the people of the Niger Delta region on the flood that have displaced a lot of persons, the leader of the US delegation, Cynthia Akuetteh said the essence of the meeting is to discuss the challenges facing the Niger Delta region and to finding lasting solutions to their problems. In her opening remark in a paper titled “Laying A Foundation For Lasting Peace In the Delta” Akuetteh disclosed that, the region faces three complex overarching and overlapping challenges, which if not addressed could lead to renewed insecurity in the region. Those challenges, she said, are low levels of development, environmental devastation, and maritime criminality. According to her, onshore and maritime oil theft persists, and environmental degradation caused by oil spills threatens the livelihoods of local communities. she also disclosed that Nigeria has received almost $42 million in the first two years of Feed the Future which is the U.S. government’s global hunger and food security initiative), a portion of which has been used to improve food security and livelihoods in the Niger Delta. She said since 2006, the United States has provided over $35 million worth of equipment, to include automatic identification system, radars, defender class boats, and very high frequency (vhf) radios to Nigeria as well as to regional partners Benin, Cameroon, Gabon, Ghana, Sao Tome and Principe, and Togo. This also includes associated training to those same countries. Permanet Secretary, Ministry Of Foreign Affairs, Ambassador (Dr) Martin Uhomoihi, in his remarks ,while noting the strategic importance of the region to the nation’s economy and development, expressed hope that “the decision of our country with the US to have a working group solely devoted to the issues of Niger Delta and national development”. The host and governor of Rivers state, Rt. Hon. Chibuike Amaechi, while thanking the organisers for choosing the state to host the conference, welcomed the delegates from both countries, and assured that the state was poised to ensure the meeting achieves its aim. The commission was inaugurated on the 6th of April 2010 by the US Secretary of States Hillary Clinton and then Nigeria Secretary to the Government of the Federation Yayale Ahmed with the aim to strategic dialogue, designated to expand mutual cooperation across the broad range of shared interest.